Along side the Toasters, this Boston ska band helped revive ska in America, and thus creating third-wave ska. Pioneers in their field, their latest album showcases their growth. Spanning ten years, it's a compilation of rare, unreleased, and b-side material. 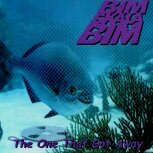 With a Bim Skala Bim album you always know you're going to get quality. But what about a rarities/unreleased album? Well, with the slow, soulful opening number "Line To You," any notions you have about b-side albums quickly vanish. The vocals carry the song through a softly melodic pace that will have you sitting there smiling and enjoying the song. The horns warm up the song, and add a bit of spice to it, but still keep the song very gentle. The percussion does a great job of keeping the backbone strong, yet still keeping the song slow. The guitar and its upbeat are present, but don't bite on your feet due to the calmness of the song. Throw in some smooth bass and you have a winner. One of the five unreleased tracks on this disc, it makes you wonder why they didn't include this on another album. "Run Joe" shows the band's diversity and ability to get you dancing with different styles. This mento number will get you dancing easily, but while you're having all the fun, stop and take a listen to the lyrics. The song is about a man caught in the act with another man's wife. Heavy stuff, but done in a humorous manner, giving the song an enjoyable feel both musically and lyrically. Running into some legal problems, "In This House" was never released. An X cover originally done for a friend's X compilation, this is the first time the public has been able to hear this number recorded. They definitely put a spin on X, including some very jazzy/rock horns. Although not one of the best tracks on the disc, the horn players definitely make this song work. The one problem I had with the song is the vocals seem a bit distant from the music. Other than that, the instrumentation is great. Straight from the 'Bones' sessions, with Lou Giordano co-producing, "Sequoia," is a song about the legendary Bigfoot. Adding some rock into the mix, this number just doesn't seem to have either the dance-ability or the impact that other Bim numbers carry. It comes off as an outtake, which it is, but it shows its true identity way too much. "Murky Water," also from the 'Bones' sessions, shows a more focused, stronger Bim. This song capitalizes on their ability to get the listener dancing quickly, and keeping him dancing throughout the song, as well as their ability to integrate well-written hooks and sing-along rhythms together nicely. Not only is it fun to listen to, but it seems like the band really had a great time recording it. Finishing off the album with some dub, which they happen to be very good at, the final two tracks wrap up this album nicely. Although there a few tracks that show the reasons they haven't been released up until now, the majority of the album is just as strong as their regular releases. Fun, full of dance, and a nice mixture of both humor and real-life saga, these songs are definitely worthy of release. I'll give this album a B+.